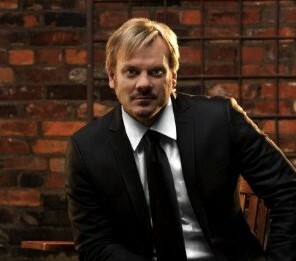 Phil Vassar knows how to write a hit song. I don’t think that will ever change. Phil seems to have the formula for a hit country song down perfect. I just think he’ll always be able to write songs people want to listen to. Phil has a new single out at radio and it sounds like something made-ready for the radio waves. Just in time for summer, huh? The first time I remember knowingly hearing a Phil Vassar song was back in 1999. I learned later he had written many of my favorite songs for other artists in the mid and late ’90s. Phil’s first hit Carlene was shipped to radio, but I think the first time I heard it was on CMT when the video played. The song was different. Phil didn’t have a cowboy hat on. He was rocking the piano and bringing a new sound to country. Phil’s debut album was one of the first I ever purchased. I played it over and over in my first car. I actually had to rig up my portable CD player into the cassette player in the car with some kind of gadget. Phil went on to have a decade-long career as one of the best in the country music business. He consistently put songs in the top twenty on the charts for ten years. Fans loved his live shows as well. I saw him last summer and it was quite the show. After some ten years on the major labels Phil is now out on his own. From what I gather it seems the new song is being promoted and released independently. Regardless of how this song is being released I think it deserves some major play on the radio waves. Let’s Get Together is more of the catchy country music Phil has been giving fans for a decade. The track is about getting together with good friends and having a bit of fun on a summer night. The entire crew gets together for this evening. There are all the usual suspects including coolers, tiki torches, air guitars, and plenty of laughter. I’m sure we’ll all be around a few campfires this summer and Phil has the soundtrack. Let’s get, get, get together.